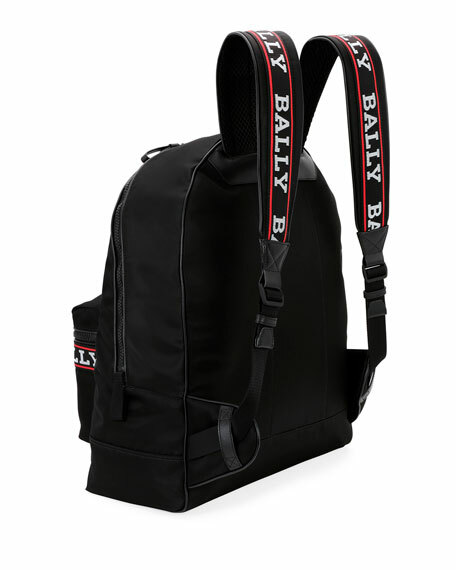 Bally backpack with two-tone logo tape trim. "Biggie XL0" is made in Bulgaria. For in-store inquiries, use sku #2616763.